He believes his youth is one of his biggest assets in addressing gun violence. At 25 years old, Anthony Driver is the youngest of the 15 candidates running for the position of 20th Ward alderman. He is campaigning on a platform in support of gun violence reform, the rehabilitation of vacant properties, and establishing a jobs training program and credit union run through the Aldermanic Office. With time spent in politics, ranging from work in congressional offices, city government, on Capitol Hill and grassroots activism, Driver believes his wide breadth of experiences will help him tackle some of the ward’s toughest problems. “I left Chicago with the goal in 2011 to come back to Chicago. To figure out a way to help my community,” he said. Driver recently visited campus to discuss his background and campaign with The Maroon. Driver grew up in Back of the Yards, a neighborhood on the southwest of the city. Driver said his interest in politics began in high school when, as a freshman, he gave Mayor-elect Rahm Emanuel’s first school visit in the district. Driver then went on to win the Ernst & Young Entrepreneur of the Year Award for designing a kiosk business during his senior year. Though his interest in politics persisted, Driver dreamed of being a pilot and planned to study aviation at the University of Michigan. However, only two days after graduating high school, one of his closest friends died from gun violence; another close friend also died from gun violence a month later. After losing two close friends, Driver said, he would study political science at Howard University in order to use his studies to make a difference. During his time at Howard, Driver was involved in politics at multiple levels, including leading a grassroots campaign to raise Washington D.C.’s minimum wage. Driver, if elected, faces the uphill battle of repairing trust between the 20th Ward community and its elected officials. Three out of the last four aldermen have been indicted on criminal charges. In order to maintain transparency, Driver plans to release quarterly office budgets, including staff salaries and external funds, that will be posted online as well as mailed to residents of the ward. Driver plans to tackle the issues of crime, joblessness, and affordable housing during his tenure, and says his youth is one of his greatest assets in his fight to reduce crime. “Because I am young, because I know these communities, I’m able to pull in marginalized groups of people that no other candidate can pull in,” he said. Driver added that when canvassing, he plans to reach out to gang members, not only registering them to vote but also asking them to contribute their ideas of how to improve the ward. He says that he believes this kind of work is important. “At the end of the day, they still pay taxes. They’re still important citizens,” he said. Having experienced the impact of gun violence first hand, Driver said he sees the prevalence of weapons on Chicago streets as a major concern. Driver also referred to the fact that, other than infrequent gun buyback programs in which police buy guns from citizens, there is no legal process to dispose of a gun in the city of Chicago. He aims to establish a system in Chicago police stations where residents can legally turn in unwanted firearms, no questions asked. On the issue of joblessness, Driver plans to appoint someone full time to oversee a jobs training program through the alderman office. The program would include assistance in writing resumes and cover letters, information on apprenticeships, and a small fund devoted to funding high school students’ college applications. 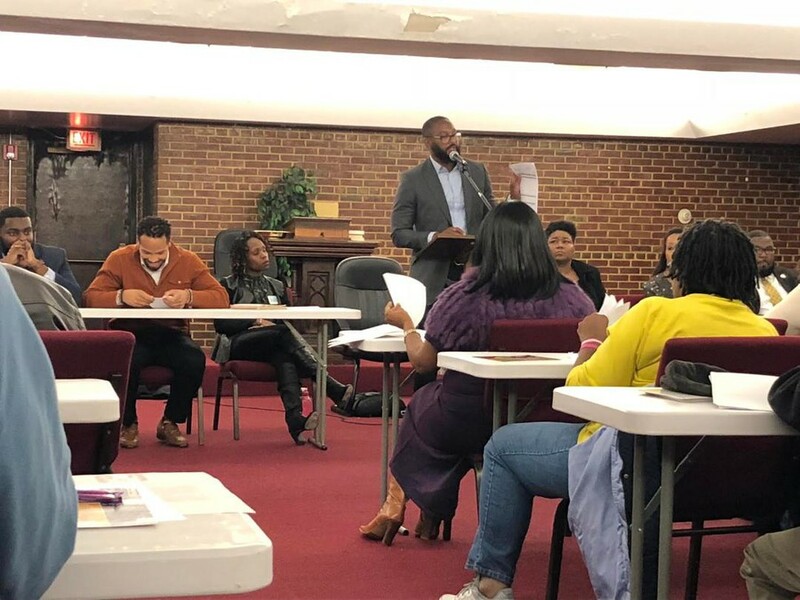 Driver added that the 20th Ward has been plagued by problems involving property ownership including unused vacant lots and affordable housing. Driver plans to appoint an aldermanic staff member whose sole job will be surveying vacant properties and, if they are not in use, contacting owners to discuss ways of returning ownership to local residents. Through this initiative, Driver said he plans to put capital back in the hands of 20th Ward residents, who may not own the vacant lots in their neighborhood. Driver’s hope is that ward assets from the credit union can build on citywide funds to help local businesses grow. Despite the ward’s history with elected officials, Driver remains confident that the citizens of the 20th Ward will continue standing strong.